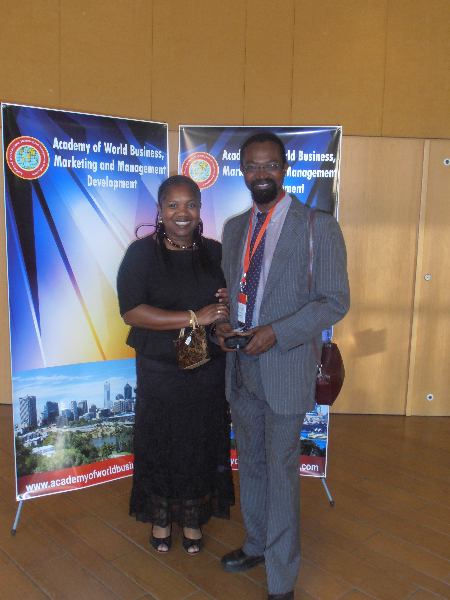 Professor Gabriel Ogunmokun is the President of the Academy of World Business, Marketing and Management Development (AWBMAMD) http://www.academyofworldbusiness.com/ and the President of the Research Centre for International Marketing, Exporting and Trade (RCIMET). He is also the Editor of the Journal of International Marketing and Exporting and the Editor-in-Chief of the Journal of Management and World Business Research. He is a Professional member of the American Counseling Association (ACA); Academy of International Business (AIB); the American Marketing Association (AMA) and the Academy of Management (AOM). He is also the President of the World Academy of Researchers, Educators and Scholars. 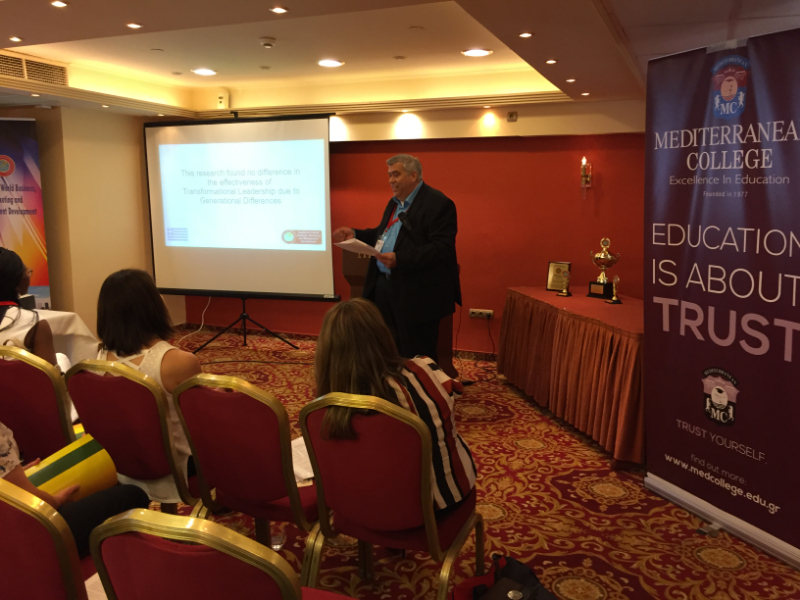 He started his lecturing career in the early eighties and has lectured in various Universities in Australia, Brunei, Canada, Fiji, Hong Kong, Switzerland and the U.S. Virgin Islands. For example, he has worked as a Visiting Professor at the University of Regina in Canada and at the University of Berne in Switzerland. He was for several years a Senior Lecturer in Marketing and Management at the Monash University (Gippsland Campus), in Victoria, Australia and was also a Senior Lecturer in Marketing and the Director of the Research Centre for International Marketing and Exporting at the University of Western Australia for many years. He has also worked for several years as an Associate Professor and Director of Research at the Faculty of Business, Department of Marketing and Tourism, University of Southern Queensland in Australia. He is currently the Chair of Marketing and Management Department as well as the Chair of Scholarships (Research), School of Business, at the University of the Virgin Islands (UVI), US Virgin Islands. He is also the Director of the Global Institute for Leadership and Management Development at the UVI. He has an international reputation as a researcher and consultant in the fields of International Marketing; Management; Strategic Marketing; Marketing Planning; Exporting; Promotion and Marketing Communications; International Business, Global Marketing; Industrial Marketing; Health care Marketing, Small Business Management; Marketing in Not-for-Profit Organizations etc. He has published a number of books in the areas of International Marketing, International Business, Marketing and Global Strategy. His journal publications can be found in many international refereed journals including: Journal of Global Marketing; International Business Review; The Columbia Journal of World Business: Global Business Review; International Journal of Management, Journal of International Marketing and Exporting; Asian Academy of Management Journal, World Review of Science, Technology and Sustainable Development, Journal of Asian Pacific Marketing, International Journal of Trade and Global Markets, Journal of Industrial Marketing Management etc. 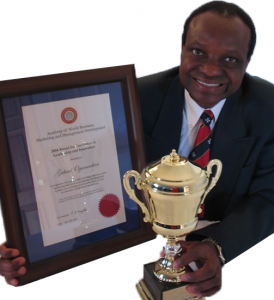 Academic Prizes and awards received include: In 1979 he was awarded John Storey Memorial Prize for the best graduating student in the Bachelor of Business Administration degree at the Western Australia College of Advanced Education, Perth, Western Australia (now Edith Cowan University). In 1980 he was again awarded John Storey Memorial Prize for the best graduating student in the Graduate Diploma of Business Administration at the Western Australia Institute of Technology (now Curtin University). In 1982 he was awarded Alumni Post-Graduate Medal for outstanding achievement in academic and community activities at the Western Australia Institute of Technology (now Curtin University). In 1999 he received the Excellence in Teaching Award at the University of Western Australia, Faculty of Commerce and Economics. He was nominated as International Educator of the Year 2003 by the International Biographical Centre in Cambridge, England. For several years, he was awarded the Excellence in Postgraduate Supervision Commendation Award at the University of Western Australia. Since 2001 Dr Gabriel Ogunmokun has been consistently listed in the Directory of Who’s Who in the World. Ogunmokun Gabriel O and Elaine Chen Hsin Tang (2012), “The effect of strategic marketing planning behaviour on the performance of small–medium sized firms in South East Asia”, International Journal of Management, Vol 29, pp.159-170. Ogunmokun Gabriel and Tafadzwa Nyanzunda (2011) “International marketing planning and research practices of agribusiness firms in Zimbabwe”, African Journal of Marketing Management Vol. 3 (5), May, pp.99-104. Ogunmokun Gabriel and Fiona M. Y. Chong (2005), “Management Worldview of International Marketing and its Effect on Export Performance”, An Exploratory Study of Exporting Companies in Australia” Amity Global Business Review, Vol. 1 No. 1 August. Ogunmokun, Gabriel O and Simone Ng (2004), “Factors Influencing Export Performance in International Marketing: A Study of Australian Firms” International Journal of Management, Vol. 21, No 2, June, pp. 172 – 185. Ogunmokun G. and Janine Wong (2004) “Determinants of marketing adaptation/globalization practices of Australian exporting firms”, World Review of Science, Technology and Sustainable Development, Vol. 1, No 1, pp. 81- 92. McClymont Hoda, Ogunmokun Gabriel O and Aliakabari Judith (2004), “An exploratory examination of the marketing philosophy utilization in the health industry: A case of preventative family home visiting health program in Australia” Journal of Problems and Perspectives in Management. Li Ling-Yee and Ogunmokun, G. (2003), “Effect of Marketing Control on Export Venture Performance: The Moderating Role of Relationship Intensity and Market Dynamism”, Journal of Global Marketing, vol. 16, No 3, 2003, pp.5-29. Li Ling-Yee and Ogunmokun, G. (2003), “The Effect of firm resources and export venture characteristics on export competitive advantages: An empirical analysis of exporting firms in the People’s Republic of China”, Journal of International Marketing and Exporting, Vol. 8, No 1, 2003, pp. 17-36. Li, Ling yee and Ogunmokun, Gabriel O (2001), “Effect of Export Financing and Supply-Chain Skills on Export Competitive Advantage”, The Columbia Journal of World Business, Vol. 36 (3), pp. 260 – 279. Li, Ling yee and Ogunmokun, Gabriel O (2001), “The Influence of Inter-firm Relational Capabilities on Export Advantage and Performance: An Empirical Analysis” International Business Review, Vol. 10, pp. 399 – 420. Ogunmokun, Gabriel O and Simone Ng (2000), “Managerial Perceptions of Export Motivation and Problems: A Comparative Study of Small versus Medium to Large Exporting Firms in Australia”, International Journal of Management, Vol. 17, No 4, December, pp. 451 – 460. Ogunmokun, Gabriel O and Ng, Simone (1999), “Environmental Scanning Practices and Export Performance in International Marketing: A Study of Australian Exporters”, International Journal of Management, Vol.16, No 1 March, pp.9 – 20. Ogunmokun, Gabriel O, Shaw, Robin N and FitzRoy, Peter T (1999), “Determinants of Strategic Planning in Small Business: An Exploratory Investigation of Small Business Organizations in Australia”, International Journal of Management, Vol. 16, No 2, June pp. 190-202. Ogunmokun, Gabriel O and FitzRoy, Peter T (1995), “Australian Small Business Objectives and the Marketing Concept: An Exploratory Study”, International Journal of Management, Vol. 12 No. 1 March, pp. 44-55. Jack Yeung, J.K.W., Foster, John and Ogunmokun, Gabriel O (1995), “Marketing Information Needs and ITUsage among Very Small Businesses in Hong Kong”, Journal of Management Systems, Vol. 7, 1, 45-58. Ogunmokun, Gabriel O, Gabbay, Rony and Rose, Janelle (2012), “Managing, Marketing and Financing Organizations in Era of Economic Uncertainty”, Academy of World Business, Marketing and Management Development Conference Proceedings, Budapest, Hungary. Vanessa Quintal and Ogunmokun G. (2004), “International education and students’ buying behaviour: An investigation of factors influencing international versus local students’ choice of institutions in Australia” in Ogunmokun, G and Gabbay Rony (2004), “International Business and Cross Cultural Marketing: Contemporary Research in Selected Countries” Academic Press International, chapter 12 pp. 1-16. Ogunmokun, G., Kusuman, H., McClymont H (2004), “Strategic Marketing Planning Practices of Pharmaceutical Retail Stores in the Australian Health Care Industry”, American Society of Business and Behavioural Sciences, Conference Proceedings, 8th International Conference, Cairns, Queensland, Australia. McPhail, J., Ogunmokun, G.(2004), “Determinants of Senior Consumers’ Usage Level of Self-Service Banking Technologies”, American Society of Business and Behavioural Sciences, Conference Proceedings, 8th International Conference, Cairns, Queensland, Australia. Ogunmokun, G. and Li Ling-Yee, (2003), “A Comparative Study of Successful Versus Unsuccessful Export Ventures and their Strategic Marketing Planning Formulation and Implementation Process: A Case of Exporting Firms in China”, World Marketing Congress Proceedings, Curtin University of Technology, Western Australia, Australia, 11 – 14 June 2003, pp.668-672. Li Ling-Yee and Ogunmokun, G. (2003), “An Exploratory Study of the Moderating Influence of Export Venture Characteristics on the Resources based View of Export Competitive Advantages”, World Marketing Congress Proceedings, Curtin University of Technology, Western Australia, Australia, 11 – 14 June 2003, pp.663-667. Quintal, V. and Ogunmokun, G. (2003), “Marketing Education Factors Influencing Students’ Level of Satisfaction: A Comparative Study of Satisfied Versus Unsatisfied Higher Education Students in Australia”, World Marketing Congress Proceedings, Curtin University of Technology, Western Australia, Australia, 11 – 14 June 2003, pp.229-231. Theingi, Ogunmokun, G., and S. Purchase (2003), “International Marketing Resources and Export Performance: An Exploratory Study of Small – Medium Sized Firms in Thailand”, World Marketing Congress Proceedings, Curtin University of Technology, Western Australia, Australia, 11 – 14 June 2003, pp639-643. Theingi and Ogunmokun, Gabriel (2002), “The Impact of Control, strategy and Market Entry Decision Process on Export Performance: An Exploratory Study of Small –Medium Sized Firms in Thailand” 27th Macro marketing Conference Proceedings in the Asia Pacific Century, University of New South Wales, Sydney, Australia, June 11-14, pp. 16-32. Quintal, V. and Ogunmokun, G. (2002), “Factors Influencing Choice in International Education” 16th Australian International Education Conference Proceedings, Hobart, Tasmania, Australia, 30th September– 4th October 2002. Ogunmokun, Gabriel O and Ng, Simone (2000), “The Problems and Motivation of Going International: Analysis of Differences Across Levels of Export Performance”, in Advances in International Marketing and Global Strategy, Academic Press International, Chapter 1. Peter, Raja Monsingh, Ogunmokun, Gabriel O and Monsingh, Vasanthi (2000), “Consumer Acculturation: An Exploratory Study of South Asian Immigrants in Western Australia”, in Issues in Marketing Management and Strategies, Academic Press International, Chapter 3. Iswariah, Sheila and Ogunmokun, Gabriel O (2000), “A Pilot Study of Environmental Marketing Practices in Business Organizations”, in Issues in Marketing Management and Strategies”, Academic Press International, Chapter 8. Ogunmokun, Gabriel O and Li, Ling-yee (1999), “Marketing Control and Variations in Export Performance: An Investigation of Exporting Companies in the People’s Republic of China”, ANZMAC99 November 28th – 1st December, Conference Proceedings. Ogunmokun, Gabriel O (1998), “Marketing in Papua New Guinea: An Overview of the Marketing Environment”, in Pecotich A and Shultz, (1998) Marketing and Consumer Behaviour in East and South East Asia, Sydney: McGraw-Hill Company, Chapter 14. Li, Ling-yee and Ogunmokun, Gabriel O (1998), “Marketing Orientation and Performance in International Marketing: An Investigation of the Exporting Companies in the People’s Republic of China”, in Ogunmokun, Gabriel O and Gabbay, Rony (1998), Contemporary Issues in International Business and Marketing, Academic Press International, Chapter 3. Li, Ling-yee and Ogunmokun, Gabriel O (1998), “The Effect of Marketing Planning on Export Performance: The Moderating Roles of Firm Size, Environmental Hostility, Control and Flexibility -A Study of Exporting Firmsin the People’s Republic of China”, American Marketing Association, 1998 Marketing Exchange Colloquium, Conference Proceedings, Vienna, July 23 – 25, p. 467. Ogunmokun, Gabriel O, Lee, Ching Mann Tara and Li, Ling-Yee (1996), “Promotion Objectives and Advertising Budgeting Methods: A Study of Canadian and Hong Kong Businesses”, Marketing Educators, Conference Proceedings, pp. 178-186. Ogunmokun, Gabriel O, Shaw, Robin N and FitzRoy, Peter T (1996), “Factors Affecting Strategic Planning Practices in Small Business Organizations”, ANZAM’96 Conference Abstract Proceedings, Wollongong, New South Wales, Australia, p.137. Ogunmokun, Gabriel O and Fidalgo, Sandra (1995), “Marketing Problems and Training Needs: An Exploratory Study of Western Australian Firms”, Conference Proceedings, Marketing Educators and Researchers’ International Conference, Brisbane, Australia, July 2-5. Ogunmokun Gabriel O; Chan, Lai Ning Hidi and Li, Ling-yee (1995), “International Pricing Decisions: A Comparative Study of Hong Kong and Canadian Businesses”, International Conference on Global Business in Transition, Prospects for the twenty first Century, Conference Proceedings,Hong Kong, 14-16. Ogunmokun, Gabriel O; FitzRoy, Peter T. and Shaw, Robin N (1995), “An Exploratory Study of Strategic Planning Behaviour in Australian Small Business: Expectancy Planning Model” Academy of International Business Conference Proceedings, Seoul, Nov. 14-19. Yeung, Jack, Ogunmokun, Gabriel O and Foster, John (1994), “Is Microcomputer a Pencil or a Decision Support Tool in Hong Kong”, South China International Symposium on Planning, Developing Markets and Information Technology Support: Managing Business in the 1990’s, Macau, March 1994. Li, Ling-yee and Ogunmokun, Gabriel O (1993), “Pricing Decisions of Manufacturing Industries in Hong Kong and Mainland China and Its Implications for International Marketing”, American Chinese Management Educators (ACME) Association Annual Conference, Conference Proceedings, Los Angeles, USA, August, pp.431-4333. Yeung, Jack; Ogunmokun, Gabriel O and Foster, John (1993), “A Study of Hong Kong Small Business Organizations’ Computerization of Marketing Information Systems” Conference Proceedings, ENDEC World Conference on Entrepreneurship, Singapore, July 15-17, pp. 500-509. Ogunmokun, Gabriel O (1992), “Are the Objectives Pursued by Small Business Organizations in Line With The Philosophy of the Marketing Concept?” Marketing Educators Conference, Conference Proceedings, Perth, Western Australia. Ogunmokun, Gabriel O (1992), “A Study of the Strategic Planning Practices in Australian Small Business Organizations” PhD thesis, Monash University, Faculty of Economics, Commerce and Management, Clayton, Victoria, Australia. Ogunmokun, Gabriel O (1991), “Business Organizations and International Marketing Strategy in Hong Kong”, Paper delivered during the 1991 Hong Kong Export Management Seminar, organised by the Hong Kong Trade Development Council. Ogunmokun, Gabriel O (1988), “A Marketing Research Study of Tourism in the Latrobe Valley”, Report commissioned and presented to the Latrobe Valley Tourism Committee, Victoria, Australia. Ogunmokun, Gabriel O (1987), “Strategic Planning in Small Business”. Seminar paper delivered at the Graduate School of Management, Melbourne University, Victoria, Australia. Ogunmokun, Gabriel O (1983), “Understanding the Role of Personnel Management for Maintaining Organizational Effectiveness”. Paper delivered at the International Labour Organization/ South Pacific Worker’s Conference, Suva, Fiji. Ogunmokun, Gabriel O (1983), “Marketing, Promotion and Pricing”, Paper delivered at the Workshop on “How to Help Fijians in Small Business” Suva, Fiji. Ogunmokun, Gabriel O (1982), “Small Business Organizations and New Product Development”, Paperdelivered at the 1982 Fiji Institute of Accountants Seminar for Small Businesspeople, Suva, Fiji. Ogunmokun, Gabriel O (1980), “Report on the Preparation of the Western Australian State Energy Commission’s Accounts – Accounts Preparation Section”, State Energy Commission, Western Australia, January 1980. Ogunmokun, Gabriel O (1980), “Report on Controlling the Western Australian State Energy Commission’s High Rate of Bad Debts and Loss in Revenue”, State Energy Commission, Western Australia, February, 1980. 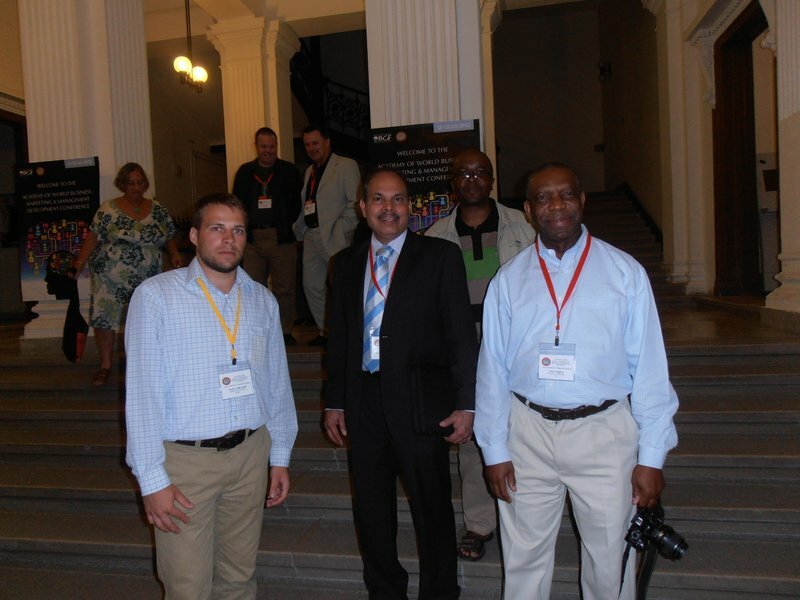 Ogunmokun, Gabriel O, Gabbay, Rony and Rose, Janelle (2010), “Academy of World Business, Marketing and Management Development Conference Proceedings” Oulu, Finland. Ogunmokun, Gabriel O, Gabbay, Rony and Rose, Janelle (2008), “Academy of World Business, Marketing and Management Development Conference Proceedings” Rio de Janeiro, Brazil. Ogunmokun, Gabriel O, Gabbay, Rony and Rose, Janelle (2006), “Academy of World Business, Marketing and Management Development Conference Proceedings” Paris, France. 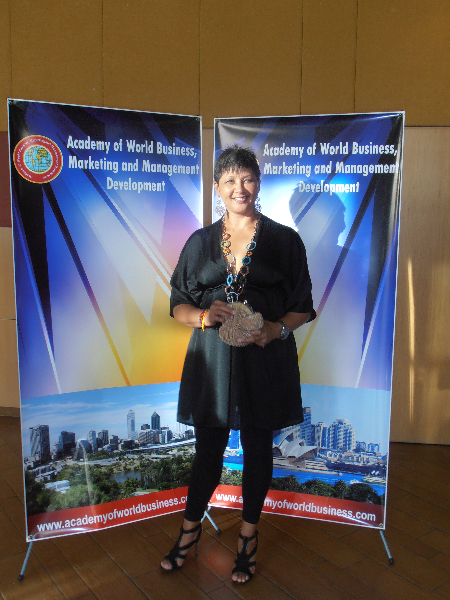 Ogunmokun, Gabriel O, Gabbay, Rony and Rose, Janelle (2004), “Academy of World Business, Marketing and Management Development Conference Proceedings” Gold Coast, Australia. Ogunmokun, Gabriel O and Gabbay, Rony (2004), International Business and Cross-Cultural Marketing: Contemporary Research in Selected Countries, Academic Press International. Ogunmokun, Gabriel O and Gabbay, Rony (2000), Advances in International Marketing and Global Strategy, Academic Press International. Ogunmokun, Gabriel O and Gabbay, Rony (2000), Issues in Marketing Management and Strategy, Academic Press International. Ogunmokun, Gabriel O and Gabbay, Rony (1998), Contemporary Issues in International Business and Marketing, Academic Press International.